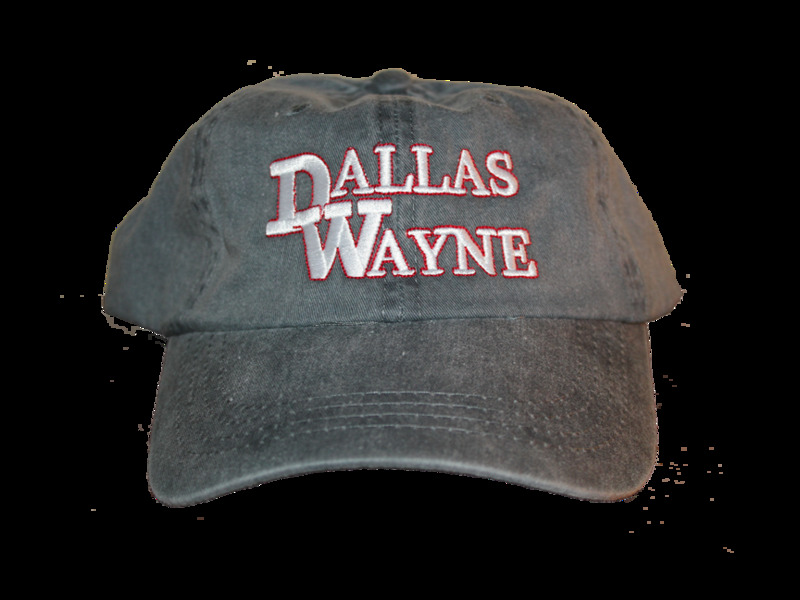 Gray, unstructured ball cap with Dallas Wayne logo stitched on the front. Adjustable strapback with brass buckle. "If you don't get Dallas Wayne, you ain't country."